This week has seen Google’s Matt Cutts announce the rollout of the Panda 4.0 update, which is expected to be a major algorithm change, alongside the rollout of the Payday Loan 2.0 algorithm. It’s also been a week of upheaval for auction site eBay, which revealed that it suffered a major data breach, which has resulted in the threat of investigations from many countries’ information commissioners. This is largely due to the fact that eBay have been slow to respond to the hack. It seems that whilst the auction site claims to have sent out email to customers warning them to change passwords, many disagree and say they have received no such email. The news that the site had suffered a large scale attack only came to light this week, although it’s thought that the breach occurred sometime between late February and early March. Hackers made off with details such as customer names, email addresses, encrypted passwords, physical addresses, phone numbers and dates of birth. Whilst the company claim that no financial details were accessed, the slow response to the problem has seen it come in for widespread criticism and the firm has since warned all users to change password details for the site and any other that uses the same password. What Does This Have to Do With Panda 4.0? In the past couple of days, reports have begun to emerge that note an 80% drop in organic traffic for the auction site in the wake of the Panda 4.0 rollout. This major update is also likely to include a data refresh and so it’s likely that we’ll see some flux in rankings over the coming days and weeks. However, according to Moz author Dr Peter J Meyers, he had already noted that some keywords appeared to show losses for eBay and what’s more, the main eBay sub-domain fell out of the “Big 10”, which is the Moz metrics for the domains that have the most “real estate” in the top ten. Noting the changes, he took a closer look at historical data for eBay and found that it had dropped from #6 (the company usually hold the #6 or #7 spot and have done for some time) down to #25. Essentially this means that the company has dropped “more than two-thirds of the ranking real estate they previously held”. This has taken place over the course of about three days, so it does appear that it’s very much to do with the Panda 4.0 rollout. However, as the author rightly points out, it’s entirely possible that the drop is temporary and will right itself. Many of the keyword changes that have taken place for eBay appear to be connected to product pages, which is unsurprising if you consider that many of these pages contain very little in the way of actual content. Links, sure, and images abound, but there’s often very little actual wordage. If you run a site, then it could have an impact depending on a few factors, such as duplicate content, gateway pages or poor content that is stuffed with keywords, badly constructed with regard to grammar, spelling etc. Sites that have this kind of content are at high risk of getting a manual penalty, which are not fatal, but do take time and money to get removed. It’s the latest in the Google drive to make the web a better place when it comes to which sites rise to the top in search. The idea is that those sites with useful content, that are also well constructed, will perform better in the rankings than those without. Of course, it’s also the latest update in a long line which is intended to cut out as much spam as possible from search results and this means that ‘black hat’ SEO is really no longer tolerated by the world’s most popular search engine. In SEO, there are various techniques that can be employed to help a site to reach the top of the rankings. Black hat SEO uses nefarious tactics such as keyword stuffing, hidden text in code, exchanging links with ‘link farms’, blog spamming, content scraping, creating numerous doorway pages packed with keywords and cloaking. 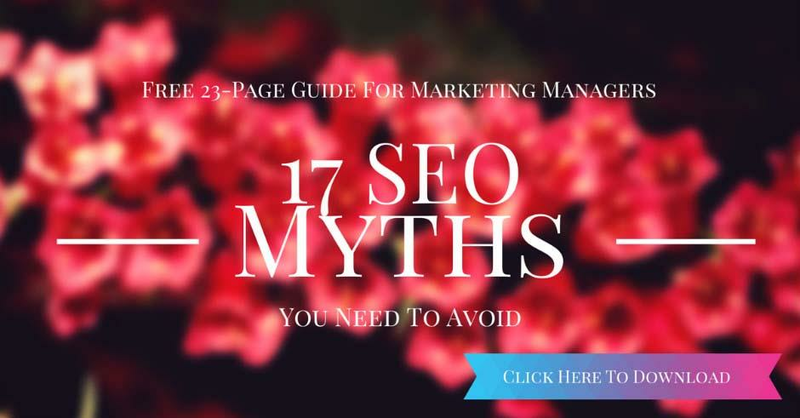 All of these tactics are considered to be unethical by the majority of SEOs, but of course there will always be some that employ them – most likely those firms that we all receive unsolicited mail from which claim to be able to get us to the top of Google. Grey hat SEO is somewhere in the middle of ethical and not and was less likely to get you a penalty in the past. These include article spinning (although personally I would consider it a black hat technique), creating separate pages for each keyword, manipulating content with CSS and buying up old and expired domains in order to link to the site of the buyer. White hat SEO is the collection of techniques that SEO professionals use to boost your search ranking and these include creating a well-structured site with good internal linking, creating quality content, optimising a site so that keywords and meta information appear in the right places and more. White hat used to include guest blogging, but as we know Google has now banned this for SEO purposes and whilst it can still be carried out, it should only be done for the purposes of PR, promoting thought leadership and driving traffic. Chasing links is now very dodgy practice and should be approached with extreme caution. Google’s algorithm changes have been intended to get rid of the use of black hat techniques completely and it’s safe to say that whilst it may have been possible in the past to get away with using grey hat, it isn’t any longer. In fact, webspam has proved to be such a problem that we’re even seeing changes creeping into white hat techniques, such as the ban on guest blogging for SEO, because the technique has been abused. This is because it’s a simple way of getting a link on another blog, so many people created low-quality filler pieces in order to gain a link which is basically useless information. So, if you or anyone working on your site uses black or grey hat SEO techniques, then there’s an extremely high risk of you picking up a penalty. What Can You Do to Avoid a Penalty? Hopefully, you won’t have to do anything if you’re creating great blogs that you post regularly and share socially. Really, avoiding a penalty is just about sticking to the rules and ensuring that your site is useful to your visitors. However, you may still find that you drop down the SERPs if your site isn’t considered especially useful. With this in mind, below are some tips for ensuring that your site is as good as it can be and hopefully retain and grow traffic. These days many people access websites on their mobile devices and as such, it’s important that your site is mobile ready. With this in mind, if you don’t yet have a mobile or responsive website, then it’s advisable that you change it as soon as you can (Google recommends it). A responsive site is one that adapts to each device that it’s viewed on so that the visitor gets a seamless experience across devices. You may have noticed on your desktop that many sites now have larger text and not as much content on the home pages as they may have had before. This is because the site has to perform on much smaller devices too and this means that text has to be viewable and search boxes, forms, etc. should all be accessible and easy to type into. It’s not especially expensive for the average SMB to change to a responsive site, depending on what kind of site they have. Those that have WordPress sites will find that there are a lot of responsive themes out there that can be easily adapted to their site by a designer for a reasonable price. It’s also a good idea to ensure that the site has a logical internal linking and navigation structure, performs well in terms of loading times and regularly submits sitemaps to Google. All of the content on your website should be well written, with high standards of spelling and grammar. Google’s algorithms can pick up on misspelled words and bad grammar and this will affect ranking. Likewise, the blog should be of a high standard and should always be industry led rather than self-promotional. No content should be duplicated, either on the site or elsewhere on the web, and you should aim to post often, as a minimum once a week. Note also that long form blogs tend to do a lot better in search than short form, so you should ignore those that tell you that the optimum word count for a blog is 300-500 words. This myth about short blogs is something that I suspect has arisen due to guest blogging and the desire to get a link for as little work as possible. It’s not easy to get useful information into 300-500 words, it’s much better to really get your teeth into some research and produce longer blogs between 1000-2000 words to ensure that the information has real value to your readers. Sites which employ multimedia content also do better than those that don’t, so you should aim to post videos, webinars and suchlike, as well as to ensure that your posts have decent images and that these all have the relevant meta information and alt tags etc. However, there are a huge number of social sites out there now and it’s very likely that you will be able to find others that are relatively specific to your niche. For example, there are plenty of recipe social sites out there if you sell food, or have a restaurant, then there are sites such as Good Reads if you produce books of any nature. All of these can help you to build a community for your business and it’s vital that if you utilise them, you do so properly, so don’t just rush off and set up a load of accounts and then forget about them. You should aim to create great titles for your content to gain engagement and on social media, you should mix this up with fun images, questions, polls and competitions to really gain a foothold on getting your followers up and to notice you. Social media does take some work and has to be handled properly, but there are plenty of tools out there such as Hootsuite and Buffer which can help you with scheduling and viewing all of your accounts in one place. Panda 4.0, as I mentioned earlier, is a major update and it’s likely that we’ll see more high profile casualties such as eBay. For the smaller business, if you create great content, update your site often and haven’t been chasing links or entering the URL into 100s of dodgy directories, then there’s no reason that you should notice any major change. However, if you have neglected your site and it’s really just there to give customers somewhere to get your contact details, then you may have to put a little more work in if you want to be found in the future through search. This entry was posted in SEO and tagged panda.